In today’s unsteady job market and the local, regional and national	economic slump many consumers and home owners are faced with very serious	needs in terms of not just making ends meet but also keeping their home. With job loss or reductions in hours at work, thousands of people are	fortunate enough to be able to restructure or modify their loans. But	even more people are actually on the verge of foreclosure. 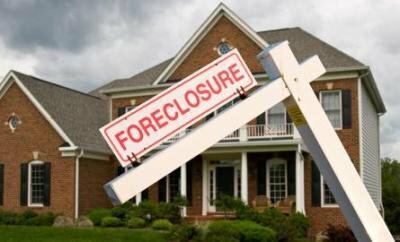 So, as a result	many people need help finding and knowing foreclosure assistance –	what your options are. The very first thing home owners need to do when they are aware of the	possibility of not being able to keep up with their mortgage is determine	whether or not they want or intend to stay in the home. If there is no	intention in wanting to try to keep the home, then immediately contact	a licensed real estate agent and put it on the market. Or you can opt	to sell it yourself. Most often, listing with an agent will get more exposure	and potential offers because they can list the property online and have	a wide variety of potential clients. There are typically a couple options other than selling your home to consider. They are short sale and deed in lieu. With short sale the home owner can	sell their home at a price less than the amount due on the note. Then	work out an agreement where the lender either accepts that amount as payment	in full, or they work out a payment agreement in the remaining balance	due. With a deed in lieu, the home owner deeds over the home and all property	to the lender. They are no longer bound to the contractual mortgage payments or loan. If however you want to keep the home, then call your mortgage lender. Mortgage lenders, banks and financial institutions have options available. They prefer for you to stay in the home, rather than losing it to foreclosure. If it’s lost and put up for auction, everyone loses. The banks lose	a tremendous amount of money and the home owner also both loses their	home in addition to taking a big hit on their credit rating. Their opportunity	to own a home in the near future will be a real challenge. Once you contact your lender, explain your circumstance to them. They	will likely have you complete some hardship forms and paperwork in order	to determine your ability to pay and also take into consideration what	your current debt is. Once this is determined, they will usually offer	a loan modification. With this program they reduce the amount of your	monthly payment for a period of six or twelve months. If their initial	payment amount is still too high, then continue to work with them to establish	a mutually agreeable amount. In some cases a loan modification can permanently alter the original terms	of your mortgage. You can change your payment due date, your loan amount,	payment amount, etc… This can reduce your overall monthly mortgage	payment. Some companies also offer a program known as deed to lease. This	is where you transfer the title and property back to your lender and then	turn around and lease it back from them. If a loan modification is not an option, then sometimes there is what	is known as forbearance or setting up a repayment plan. With a repayment	plan you simply spread out your past due amount over a period of several	months. This will help to bring your mortgage account to a current status. With forbearance you can suspend or reduce your mortgage payment for a	specific time period. Sometimes just making interest payments is an option	here as well. If the borrower is not more than thirty days past due and foreclosure	is not a risk yet, perhaps it may be time to consider refinancing the	loan. Be sure to check the value of your home, in other words, there may	be some be built up equity to tap into. Equity is basically the difference	between what you owe on the home versus what the worth or value of the	home actually is. If the value exceeds the loan amount, then you have	positive equity. With equity you can refinance your mortgage. Refinancing is a great alternative	to foreclosure because you not only keep your home, but also reduce your	overall monthly payment. Again, if this is not an option, then consider	all the many ones available that are listed above.